Back when Columbus’ was sailing the ocean blue, it was widely believed that he had found the route to India. So, when tobacco was discovered in America, it was referred to as “Indorum Sana Sancta,” or “Sacred Herb of India,”in English. 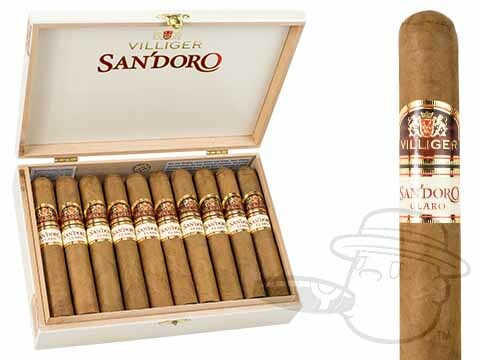 Villiger’s game-changing San’Doro cigar takes its name from this term. Crafted at Oliva’s TABOLISA factory in Estelí, Nicaragua, The San'Doro Claro wraps an Ecuadorian Connecticut Habano leaf over a blend of potent Nicaraguan binder and fillers to bring you a nice, medium bodied smoke with complexity that begs to be paired with a great cup of coffee. You can safely expect a creamy ensemble of cedar, pepper, graham cracker, and more. 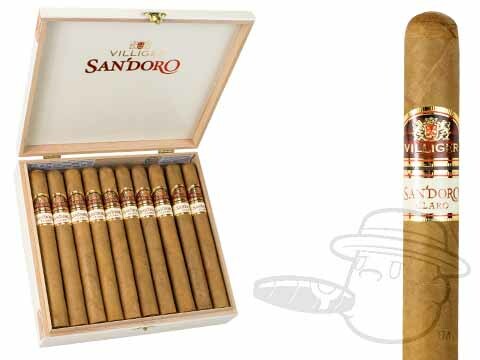 The San'Doro Colorado wraps an Ecuadorian Habano leaf over lush Nicaraguan binder and fillers to bring you a strong and toasty smoke with awesome aroma and a long, satisfying finish. A Brazilian puro that delivers deep, flawless flavor with a Blanka-style roundhouse kick, Villiger San'Doro Maduro is handmade at the company’s Brazilian Charitos Tobajara Ltda factory. Delivering an eye-opening profile that truly stands out from the pack, the San'Doro maduro conveys a great balance of leather, cedar, pepper, cocoa, sweet coffee, and touches of burnt caramel. Dont cheat yourself out of one of the finest smokes you’ll likely ever experience - give the “Sacred Herb of India” a special place in your humidor today.